HowToRepairGuide.com: heated grips wire diagram for Triumph Scrambler? heated grips wire diagram for Triumph Scrambler? The wiring diagram shows blue/black as positive coming from the fuses if I'm not mistaken (on the Scrambler). There are actually 2 blue/black. Will either one work. 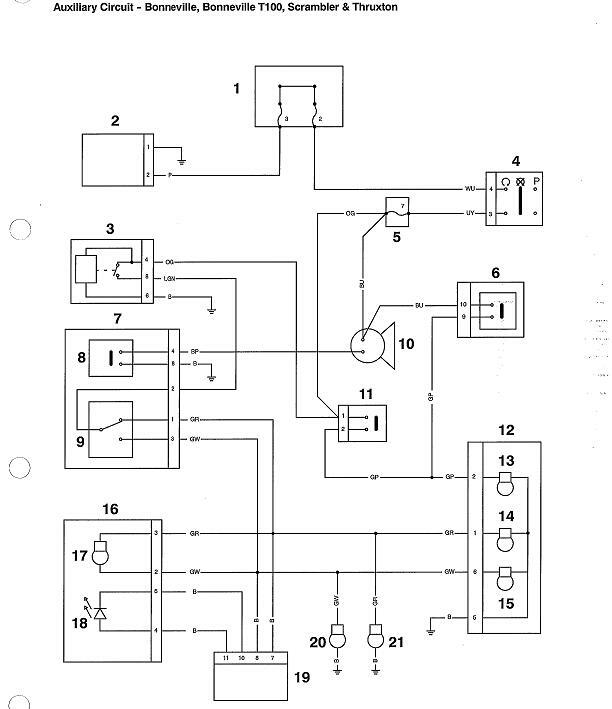 Here is the wiring diagram. BU is black/blue, BP is black/purple. Labels: heated grips wire diagram for Triumph Scrambler.